Through a strategic partnership between Lam Soon Group and Spain’s Acesur Group, we launched Naturel Olive Oil in 2005 (12 years ago). Now, Naturel is the No. 1 best-selling olive oil brand in Malaysia. 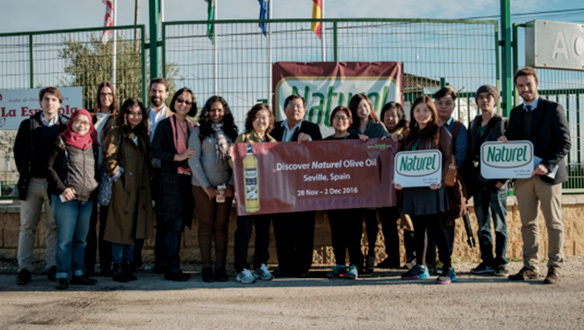 From 28 Nov to 3 Dec 2016, Lam Soon Marketing team organised a media tour for ten (10) local journalists and TV broadcasters to visit olive farm, mill and factories in both Seville and Vilches in Spain.